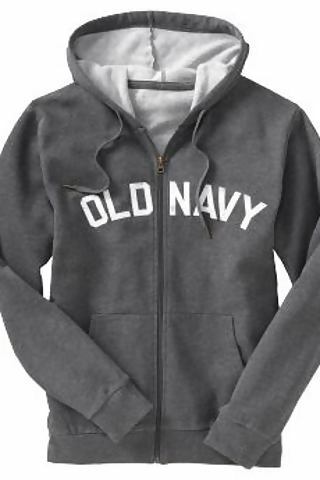 Do you love Old Navy? Would you love to model for Old Navy? Well unfortunately there is no Old Navy Model Search or model contest, however, that does not mean that you or your baby can’t model for them. It just means that they do not have an online model submission process or online application that you can do directly. Old Navy is a retail clothing store with many locations nationwide. As of 2012, Old Navy had hundreds of store locations and more may come in 2013 and 2014. Old Navy is owned by The Gap and offers a casual line of clothing for babies, kids, teens, men and women. Old Navy is known for its stylish and affordable line of kids and adult clothes and is well known for their fun and family oriented TV commercials and ads. Old Navy produces lots of marketing materials which include magazine ads, TV commercials, catalogs and internet ads. The Old Navy website features baby models, kids and adults and they are well known for their extended line of baby clothes and children’s apparel. Old Navy was recently in the news for a modeling dilemma. Kim Kardashian was upset that Old Navy used a model that resembled her and actually tried to sue the retailer over the ad campaign. Well, you don’t have to be Kim Kardashian to model for Old Navy. What you need to be is a model that is represented by an agent that has a relationship with the retailer. Like all retailers, Old Navy uses lots and lots of models. Because they are very popular for baby and kids clothes, they use lots of baby models and child models. Since babies grow up quickly, new baby models are needed for Old Navy very often. If you have a baby or child that you want to get into modeling, especially modeling for large retailers like Old Navy, Macys, JC Penny Banana Republic and the Gap, well you had better start contacting agents that can setup modeling auditions for you and your child. models themselves. Many shoots and castings come with very short notices and they depend on agents to send them the pre-screened and available models immediately. The company has commented that photo shoots for babies, children and teens happen all over the country and the company prefers to use modeling agents located in the regions that they are shooting in. normally shot in Los Angeles and actors from those commercials are sent by Los Angeles talent agents. If you are looking to get into modeling for Old Navy or want to know how to become an Old Navy model, well you need to start with finding a reputable agent. Your agent will evaluate you and if they believe you can work with the line, they will send you out on an audition or casting call. I promise I have the most intelligent and beautiful two year old daughter. I get told all the time I should get her into modeling. I have your kid! I have the most adorable and lovable about to be 3 year old! She has lots of energy and loves playing dress up and getting her hair done! She would be perfect! I really want to work with old navy.. I’m a model and I have some experience. My 4 year old son Austin is a very charismatic, a sweet, handsome boy. He loves to help. He looks great in anything I put him in. We would love more information. I would like to be one of Old Navy models. Have a very beautiful little girl named Rogeleah and she will be 1 year old soon. Very photogenic and will bring attitude and sass! Will actually pose for you. Please let me know how I can get her started in modeling for Old Navy. do you make any money if you become a model? please comment or reply. Where do I send pics of my 16 months old daughter? My size in old navy is a kids large. My daughter is adorable and loves to smile, take pictures. She would be a great fit. My daughter will be 5 months on April 14th 2014 and I can guarantee it will be love at first sight. She will entrance you with her adorable faces and fiery personality! I would love for my child to model. So many people come up to me to tell me how cute and handsome he is. I think I owe it to my child to explore this and he loves smiling for the camera. You say cheese and he looks directly at the camera and smiles. His smile lights up his whole face. Simply beautiful!! I have a beautiful picture of my son in a old navy jacket on. It has old navy across the front of it. I know with out a doubt that they would use it for advertising. He has a beautiful smile perfect skin and curly hair. Who could I send the picture to to have them look at it. My daughter is 3 years old, she loves taking photos. How would I start to get her into modeling? I’m 12 and want to become a model. I could use a little help but I really want to do this. how old do you have to be to become a kids model. I’m 12, would that be ok? My son Max is 8 months old. He’s the cutest baby ever! He’s very photogenic and smiles for the camera pretty much every time! Hello,my name is Karae. I’m 15 years old and I graduated from John Casablanca’s modeling and acting school. I don’t want modeling to just be a dream, I want it to become a reality for me. Doing this would help big time. Thank You for giving me the opportunity to share this. Hi I’m 13 and would love to model for old navy. I love to smile and I would really like to do this. I have the most beautiful and energetic baby girl. She is 5 months and has been referred to as the baby in the sun on teletubbies or the 2013 Gerber baby. She can turn anyone’s day around and she is truly adorable and a gift from God. She adores the camera and interacting with others. She’s no Where near shy and so loveable. I am 12 year old. I have a very big smile. I love to act. I am african American / French / haitian . I have a big smile and light skin. would you please email me some info about how to apply and submit photos. The twins are nine and are photogenic. Would be great for them. have twins that are very handsome and that would love to model for old navy. They both have blonde hair and blue eyes. I have the most adorable ‘lil girl, her name is Johnnah and she is 2 yrs old. I would love for my daughter, Olivia to do the modeling activity for Old Navy. My son is Darnell, I buy all his clothes at old navy and he would love to be in your commercial, email me back as soon as possible. My son Quinton is so handsome, he has light brown eyes, long curly eye lashes, a head full of curly black hair, he loves taking pictures and has a picture perfect smile…please email me back. I have the perfect angel. Her name is Angel and she would make the best model for Old Navy. She is only 9 months old but she is full of personality and I know you need lots of personality to be a baby model. She is well behaved and she always smiles. Getting her to smile for the camera is so easy because she does it naturally. I really want her to be a model for a clothing store and being a model for Old Navy or The Gap would be like a dream come true for both of us and I know that the photographer would not be disappointed in her look or how she acts on camera because she is a perfect Angel. my 7 yr old son loves old navy. This is the only place we went school shopping, why, because it had the correct color pants the correct color shirts and styles and may I add, ofl great washable quality. Old Navy even had the correct color and style shoes. Yes, he where’s a uniform and when not in uniform he is in something from old navy. Chastin is a proud shopper for you all and with this opportunity he will be a model for you all :-0 thanks PS, mom and dad LOVES OLD NAVY PRICES. MY DAUGHTER IS 7… SHE IS VERY INTO TAKING PICTURES. I HAVE LOTS OF PICTURES OF HER, ALL DIFFERENT LOOKS AND WOULD REALLY LIKE TO HEAR BACK FROM YOU! I am Sydney and I am 11. I love to model. I love old navy. Even though I have never modeled before, I am beautiful, fashionable and a total diva! I would love to model for you! I am blonde, tall, lean and I have brown eyes! I am interested in getting my baby boy into modeling. Everywhere we go, he gets compliments, people tell me I should look into modeling for him but I never really paid it any mind. I am a parent who shops at Old Navy for my boy and I have to admit he looks good in your clothing. I would love to submit photos so you can see for yourself. My daughter is always the center of attention! Shes a total sensations! She loves people young and old. Everyone always tells me to put her in pagents or on commercials. Searching for Agents in the midwest. Any help appreciated. 9 yr old grandson involved with children’s theater also interested in modeling. I can not figure out how to submit photos or enter my 8mo old son? Please can someone help me? I have a beautiful baby and I love Old Navy. I really want to get her into modeling because she is so good in front of the camera and she is a natural baby model. I want more information about the Old Navy casting call and how to enter my child. I know that she will be a success at it because the camera loves her. She smiles on cue and is so well behaved. I would love to see her picture on the Old Navy website and I think she could really sell a lot of clothes because she is so gorgeous, bubbly and cute. I shop at Old Navy and The GAP and I would love nothing more than to be a model for Old Navy. I think their commercials are great and I always buy jeans and tees from the Old Navy store in the mall. I think that I would be a perfect model for them because I am cute, smart, in good shape and kinda tall. Im trying to get modeling information for my kids. I love Old Navy. Modeling for Old Navy would be a dream come true. When I was a baby my mom entered me into a baby contest and I won. I got a free photoshoot and pictures. I would like to try modeling again now that I am older.